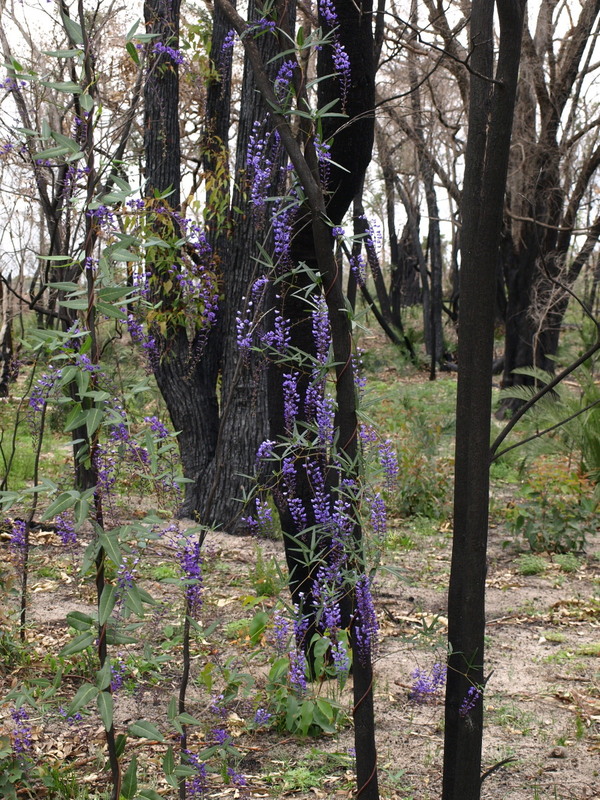 The bush is very slow to recover but if you look really closely, there is some beauty. 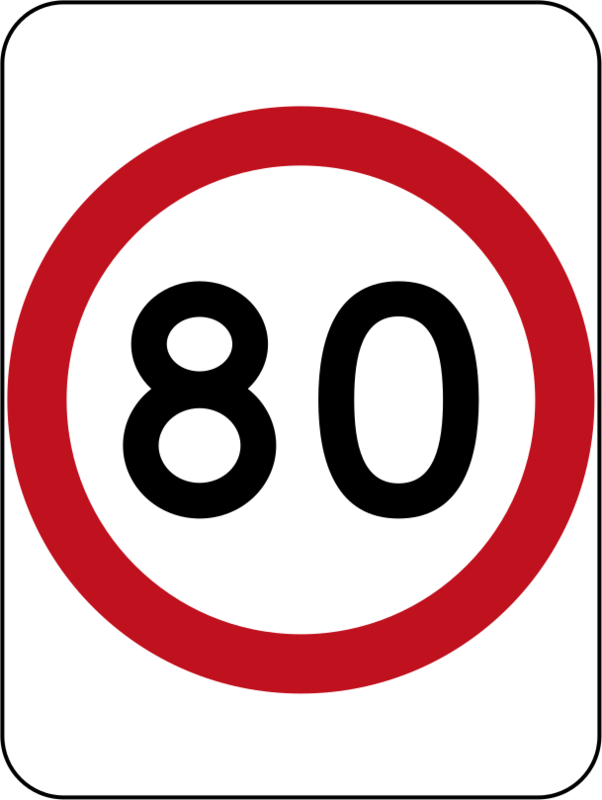 The Lake Clifton-Herron Residents Association (LCHRA)has been working for more than 7 years to get Main Roads WA to impose a blanket speed limit of 80kmp on Southern Estuary Road. This road is a very dangerous narrow road with most intersections on a curve and two very dangerous 90 degreee turns. The volume of traffic has increased dramatically since the Forrest Hwy opened. Many new residents also now live along the road and in adjacent subdivisions, increasing local traffic. To get a Main Roads WA speed limit on a road there needs to be a centreline. The City of Mandurah added a centreline to their section of the road a couple of years ago, but the Shire of Waroona voted not to do this. Hence a stalemate. The LCHRA continued lobbying, with the help of Murray Cowper MLA, Member for Murray-Wellington, but nothing happened. Eventually the Shire of Waroona added more road markers and made intersections more visible which was helpful. But no centreline because the Shire of Waroona did not have funds available to mark a centreline. Now through the contribution of Main Roads WA there is a centreline along the whole of Southern Estuary Road!! AND a speed limit of 80 kph. Thanks, and congratulations, to all those who have worked hard over the years to achieve this result. A lovely lady by the name of Marika Mackey has started a new local business in first aid training. We don’t normally advertise businesses but this is a great community service and it is a pleasure to support her. Senior First Aid courses will be held at the Lake Clifton Herron Community Centre on Wednesday July 27 and Saturday August 8 and further courses will be held if there is sufficient demand. The courses are 8 hours and may help you to save a life. Please contact Marika directly by phone on 0403 244 575 or tag her in a message on Facebook. We have not included her email address for security reasons but if you need it just send a message via the contact form on this site and we will put you in touch. 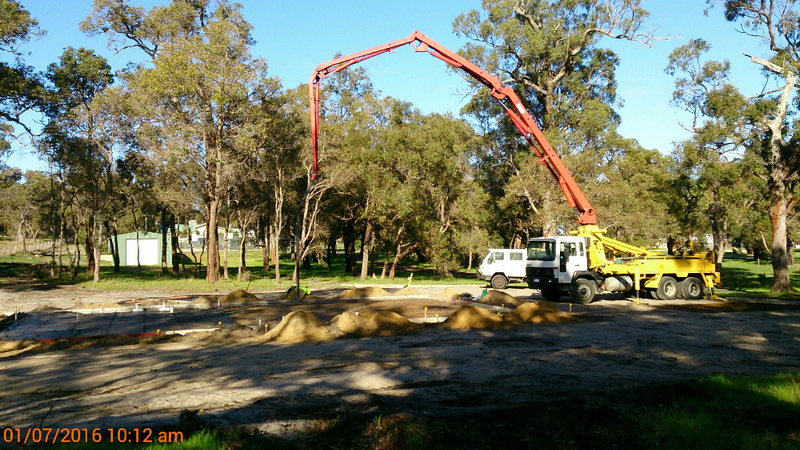 Concrete is being poured today! !